Robert Burns was born on 25 January 1759 in a village in the Scottish county of Ayrshire. He died, 37 years later, one of the most celebrated poets Britain has ever produced. Burns was famously the ‘Ploughman Poet’ – a farmer’s son, a drinker, a lover. It was an image he himself cultivated: he was someone who had his hands in the earth, and his nose in a jar. He was, in his own words, a ‘simple Bard, rough at the rustic plough’. Key to this identity was Burns’ mother tongue. Burns grew up speaking Scots a language which, although derived from Anglo-Saxon, had diverged significantly from the English spoken in the south (Johnston, 2007). In Scots, many words with the same root are markedly different, phonologically, to the English equivalent: ‘hoose’ for ‘house’ and ‘kirk’ for ‘church’, for example. There are also many lexical differences: ‘bairn’ in Scots, for example, means ‘child’. In syntax and morphology, there are many differences too. Present participles and gerunds, for example, tend to be marked in Scots with ‘-in’ rather than ‘-ing’. Though Burns liked to present himself as a ‘heaven-taught ploughman’ – hewn from the earth, and inspired by whisky and the Gods – this is only half the story. For Burns, like the 20th Century’s greatest bard, was also a learned man. He was well educated, possibly not much worse than much of the Scottish gentry. He read extensively form an early age, and his poems feature references to figures from the Greek lyrical poets to Adam Smith. Burns was well acquainted with the English poets of the era. He was also probably a rather moderate drinker for the age (Smith, 2007). 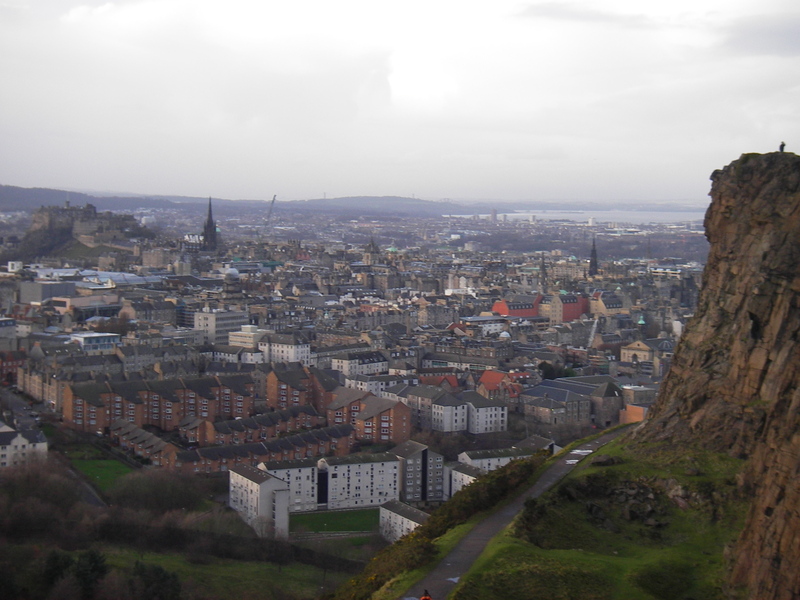 Burns moved to Edinburgh when he was 27. Here, in the capital, the language of the educated classes was Scottish Standard English – a dialect emerging since the Union as a compromise between Scots and the English of the south (Johnston, 2007). This was the language of formality, polite conversation, and high society. It was also one in which Burns was equally adept. Burns seems to have been both attracted and repelled by his new social circle. In reality he was, an inbetweener – not quite at home in rural Scotland, not quite at home amongst Edinburgh’s literati. According to University of Glasgow’s Jeremy Smith, Burns’ complex identity was manifest in much of his writing. Even in his personal correspondence, Burns could choose to write in either Scots or English, depending on which ‘Robert Burns’ he wanted to portray. Sometimes he wrote in a mixture of the two; just like many modern speakers of Scots, he could code-switch freely. Burns used this ability to alternate between the two languages to great effect in his later poetry (Smith, 2007). Smith cites the example of ‘Tam O’Shanter’, Burns’ last major poem and possibly his finest (see here for a recent modern translation):. The final couplet of the poem’s first stanza, unlike the lines that precede it, are in English (‘warm’ and ‘storm’ would not have rhymed in Scots). As Smith (2007) points out, the shift from Scots to English, and corresponding change in rhythm, also marks a transition from narrative to figurative language (p. 83). As Burns himself admitted, his knowledge of Scots and Scottish Standard English provided him with copia verborum (an ‘abundance of words’). It gave him the language he needed – Scots, English, or a mixture – for every context and situation. Like Shakespeare writing for the Globe’s groundlings and its seated royalty, although he was himself neither of them, Burns could speak to both the upper and lower classes. Burns was neither ploughman, nor gentry; he was something more. His genius lay in exploiting all the linguistic possibilities his identity – as an inbetweener – offered him. Johnston, P. A. (2007). Scottish English and Scots. In David Britain (ed.) Language in the British Isles (pp. 105-121). Cambridge: Cambridge University Press. Smith, J. J. (2007) Copia Verborum: The Linguistic Choices of Robert Burns. The Review of English Studies, 58, 73-88. This entry was posted in Uncategorized and tagged bilingualism, creativity, language, linguistics, poetry, Robert Burns, scotland. Bookmark the permalink. I should make it clear that this blog is very definitely Smith’s thesis – I can’t take any credit! His article is a great read and is available here (though sadly requires subscription): http://res.oxfordjournals.org/content/58/233/73.abstract.